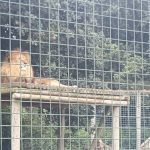 As part of the surprise for Babs’ birthday I had booked for us to go to the Wildlife Heritage Foundation Big Cat Sanctuary Open Day in Smarden. 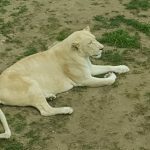 It is home to 50 different cats ranging from fishing cats up to Lions and Tigers! They have 15 different types of cats and are constantly growing. I’ve always known it was there , when I used to get the train to Canterbury every day I could see a few of the enclosures from the train line! The Sanctuary is closed to the public except for the Open Days. It used to be only 1 day but as it has become ever so popular they now open for 4 days from 11am-5pm. I managed to keep it secret from Babs that we were going which is amazing for me!! We had to queue in the car to get in and just as we pulled in her saw the signs! Just the look from his face was pure excitement! 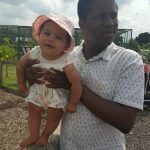 Anybody that knows us will know we go to a lot of different zoos and even have a year pass to Howletts at the moment which was a present for Christmas! It didn’t sink in where we were until we had just walked into the entrance. I told Bab a lot of the information and just how privileged we were to be going because the tickets had totally sold out for the weekend and there were hardly any left for the day we were there! Walking round was honestly amazing! 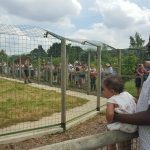 At every enclosure there were volunteers who were so knowledgeable about all the cats so we found out so much about them all! Although it doesn’t look that big we could have easily stayed even longer but fully understand why they are only open from 11am-5pm on the Open Days. All the cats were in fantastic condition and all looked so healthy and happy that they were there. Lola loved watching them especially the bigger cats the Lions and Tigers. 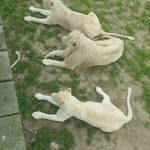 As we were getting ready to leave we stood for a while looking at one of the male Lions Tiny. Well Lola clearly wanted to play with him because she wouldn’t stop babbling and screeching with excitement to him! We were utterly gutted because both our phone batteries had died and we stupidly hadn’t taken a camera! (We have taken note for next year!) 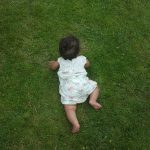 Lola also loved the freedom of being able to crawl around the grass especially as we live in a flat so don’t have a garden! Some people I know will ask why they have these open days if it is a Sanctuary and that surely it unsettles the cats. Actually, there was only a couple of the cats that weren’t best pleased but they just stay in their houses and make rare appearances. We even got a glimpse of one of the snow leopards which all the keepers were amazed about! 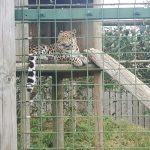 There was one enclosure that we were not able to access at all and that was because the one cat in it would be extremely unsettled but we fully understood why they had make it inaccessible. 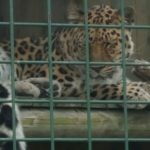 They have the open days to increase awareness of just how these beautiful animals are in danger in the wild. 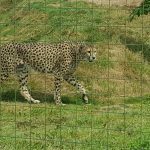 We also discovered that with the money received on these open days it covers the cost for 3-4 months of the upkeep of the full sanctuary which is amazing! The rest of the year they rely on the public booking for photography sessions and overnight stays. 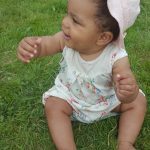 ← Baby Led Weaning 1 Week in!